While Taiwan holds its major annual military exercise, China’s PLA will conduct live-fire drills in the Taiwan Strait. This year’s Han Kuang exercises, Han Kuang 31, are larger than last year’s and include Taiwan’s army, navy, and air force in joint operations. Maj. Gen. Zhong Shu-ming said that Taiwan’s navy would conduct five additional drills compared to last year and the air force will hold six more drills. 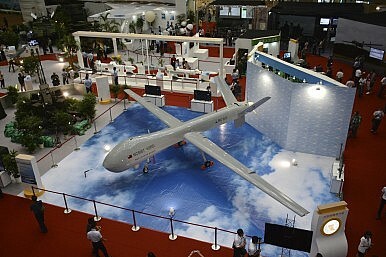 According to Taiwan’s Central News Agency, Han Kuang 31 will also feature new weapons systems, including the P-3C anti-submarine warfare patrol aircraft, the Tuo Jiang (Taiwan’s first indigenously-designed stealth missile corvette), the Cloud Leopard armored vehicle, and unmanned aerial vehicles (UAVs). Taiwan also deployed an indigenously developed radar system, the Point Defense Array Radar System (PODARS), for the first time during the drills. One of the showpieces of Han Kuang 31 was an anti-amphibious landing exercise, held Thursday in northern Taiwan. That drill saw Taiwan’s soldiers simulate the repelling of an amphibious invasion attempt. The drill incorporated 800 Taiwanese soldiers, 18 8-inch M110 self-propelled howitzers, and 20 M109 self-propelled 155 mm howitzers. Taiwanese President Ma Ying-jeou oversaw the anti-amphibious landing exercise, held in Hsinchu County. In remarks to the soldiers, he said that Taiwan will not drop its guard despite warming cross-strait ties, but will remain ready to defend itself against a PLA attack. He said that his administration has worked hard to preserve peace in the Taiwan Strait, calling the current cross-strait relationship the most stable in 66 years. But he also said that Taiwan will remained prepared for war and will continue to improve its defense capabilities. Taiwan’s Ministry of National Defense recently issued a report to the Taiwanese legislature on mainland China’s military. The report included a list of scenarios under which Beijing might decide to invade Taiwan, and an overview of how such an invasion might progress. The ministry insisted that Taiwan’s military is prepared to defend against a possible attack by the PLA.